A Certified Business Development Expert with a deep passion for Business Development and Digital Transformation. With 18 years of Business and people management experience. Melanie has sourced, structured, managed, and/or invested in over 8 lower middle market transactions with an enterprise values of over $60 million. She started her career as a Ship Navigator in the Irving Oil group in Canada. Which focused on transporting fuel throughout North Atlantic. In 2014, she founded and became Head of Business Development of the Elizabeth Sloane & Company Limited, a full-service business development firm in Kingston, Jamaica. Elizabeth Sloane leads the digital transformation locally. 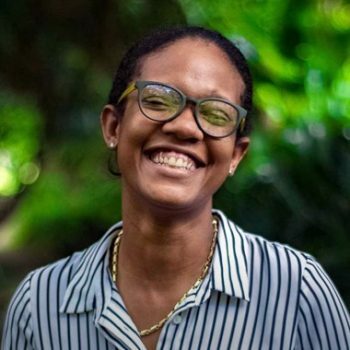 In 2017, she co-founded and Jamaica Rural Youth Foundation, providing positive opportunities to Rural Youth of Jamaica. Elizabeth Sloane are leaders in going paperless and implementing systems that optimizes business operation. In 2018, Melanie became a Managing Director of Israel Group Limited, a private equity firm, that invest heavily in technology. Melanie has served as chair, director and/or business development head for 11+ platform companies with revenues of between $5 million and $150 million annually, including GroundsPro (Landscape Management Company), Elizabeth Sloane (business services), JT Refrigeration Services Limited (HVAC services), Kingstonboats (boat rental services), Island Networks (Telecommunication services), Wynter’s Park and Farm and Ideal Food to name a few. She is also the Chair of the iSpur Accelerator Network Atlanta, an Atlanta Chapter to her Personal and Professional Capacity Building Program. Melanie is a member of the World Economic Forum Global Shapers Kingston Hub. A holder of a Ship Navigation License, a Certified Business Development Expert, an Advanced Sales Management Certificate and a Licentiate Degree in Marine Ship Navigation Technology. Born and raised in Jamaica, with a great passion for Business and Technology Development. Most recently launched Jamaica Rural Youth Foundation Breakfast Club Program, which aims to feed 10,000 primary school children in Jamaica daily. She believe an educated young population is a good start to sustainable progress.